It is a clear liquid that is sweet and nutty in taste. Coconut water is found in a young, green coconut. Coconuts are not indigenous to any particular region of the world. It can be found from Central Florida to Guam and from India to the Philippines. Coconut water, however, has some exceptional benefits. They are delicious and healthy for the body. Read on to find out why you should add coconut water to your diet. If you are looking to improve and increase energy, consider adding coconut water to your diet; Coconut water is known to boost energy levels and increase the body's metabolism; Coconut water is the perfect alternative drink if you are a sports enthusiast. Most sports drinks are packed with sugar, caffeine and have a high-calorie count. Coconut is one of the foods that is high in Potassium and electrolyte; it contains less calorie and less sugar than most sports drinks. Most athletes swear by coconut water. Coconut water contains vital nutrients such as enzymes, vitamins, and minerals, and antioxidants. Coconut water also contains a natural growth hormone called Cytokinins. Researchers have found that Cytokinins are plant hormones that help regulate cell growth and cell division. Coconut water also contains Lauric acid, which can minimize the aging of skin cells. Fiber intake is essential in our diet. Coconut water contains 2.6gram of fiber for every glass or 11% of the daily value. 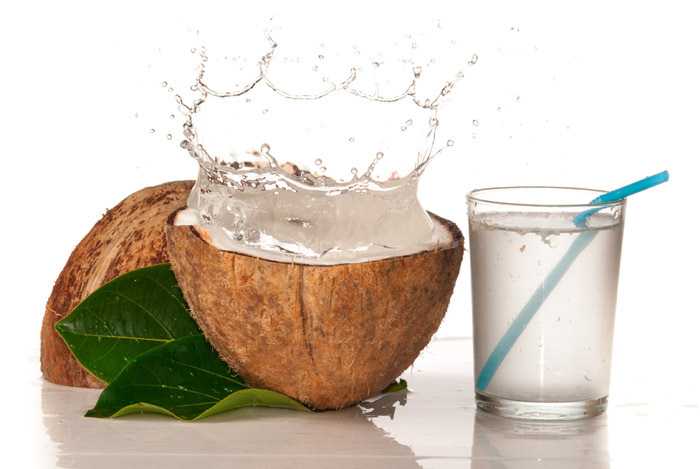 Coconut water is one of that natural beverage that has a high amount of fiber. Another sweet benefit of coconut water is that it aids in weight loss. Coconut water helps to keep the body hydrated, and when you are hydrated your metabolism is high which in turn helps you to lose weight. A dehydrated body makes your metabolism slow which causes you to lose weight at a slower pace. Coconut water is known to reduce bad cholesterol levels and prevent blood clot formation which in turn improves healthy blood circulation. If you want to improve your overall well-being, you may want to switch from drinking soda beverages and look into adding coconut water to your diet. Aww. I love the natural coconut water compared to the ones sold in stores. If I ever needed more reasons to drink coconut water this is it, my only problem is I just can't stomach the taste of it! Haha Julia, have you tried coconut water fresh from the fruit? I love that one a million times better and it's so refreshing than the store bought coconut water.